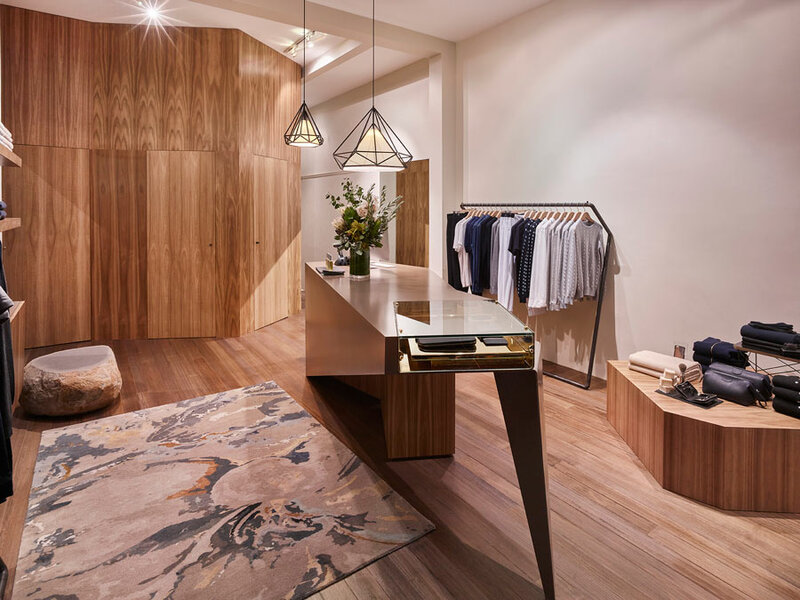 This is the premiere store for Australian menswear label 'Robinson Man'. 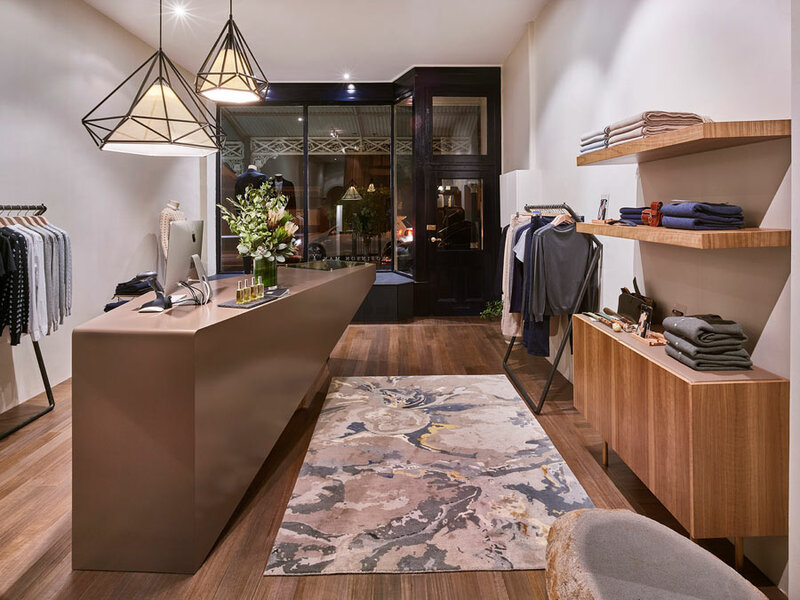 The brand specialises in Mongolian cashmere with the raw cashmere obtained directly from the nomadic herdsmen of outer Mongolia. 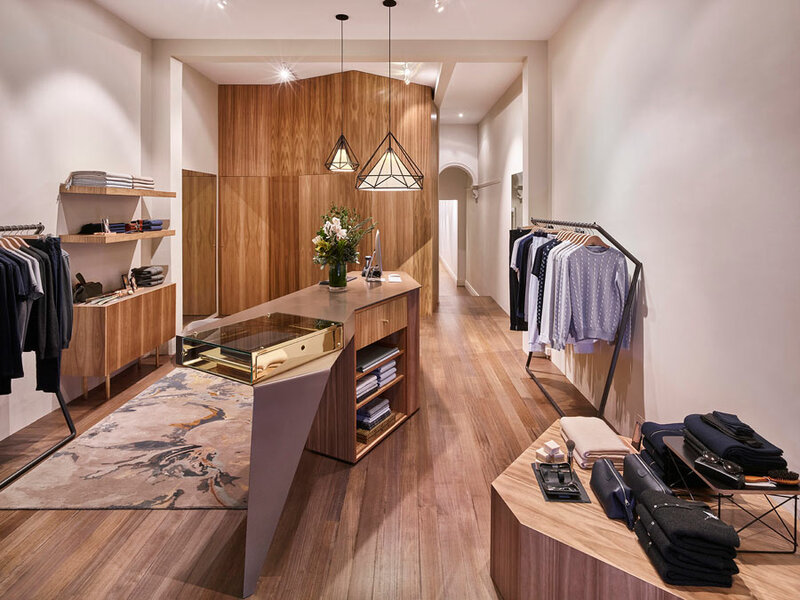 The concept design for the store is by renowned Melbourne architects Edwards Moore and we designed the detailed interior fit. 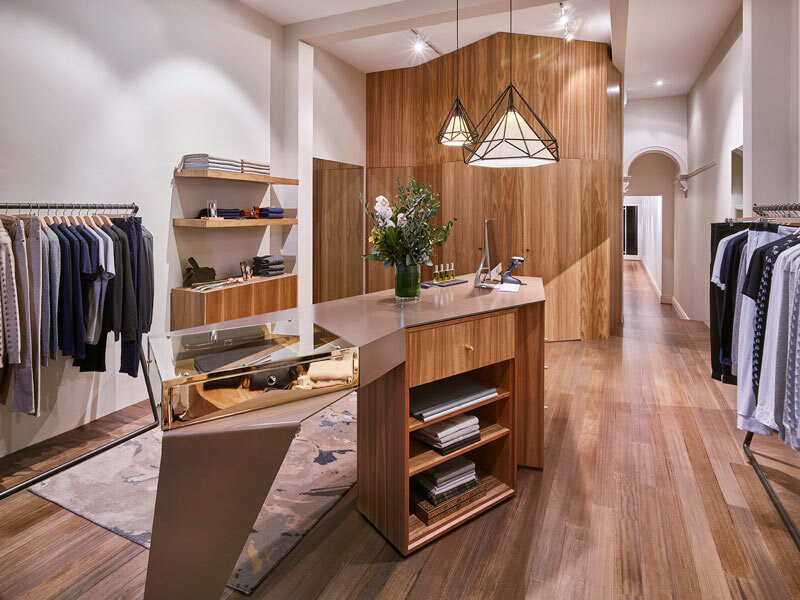 The materials chosen are consciously different to those used in a standard retail fit out. The materials are steel plate, Ballarat blue stone, gold detailing, blue gum timber. These objects are robust and be re-used and have value in themselves. 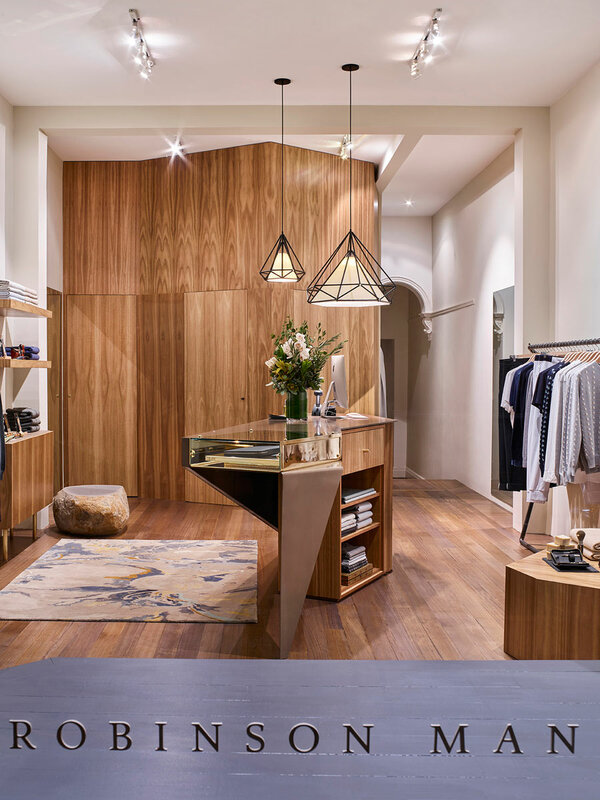 This is consciously different to the expendable nature of a lot of retail design and in direct opposition to the pop-up nature of some fit outs, these objects are built to last. This is in line with the luxury ethos of the brand, investing in pieces that last and are timeless. The design was also influenced by Italian Designer Gio Ponti.